Visits to this site since 1 September 2001. 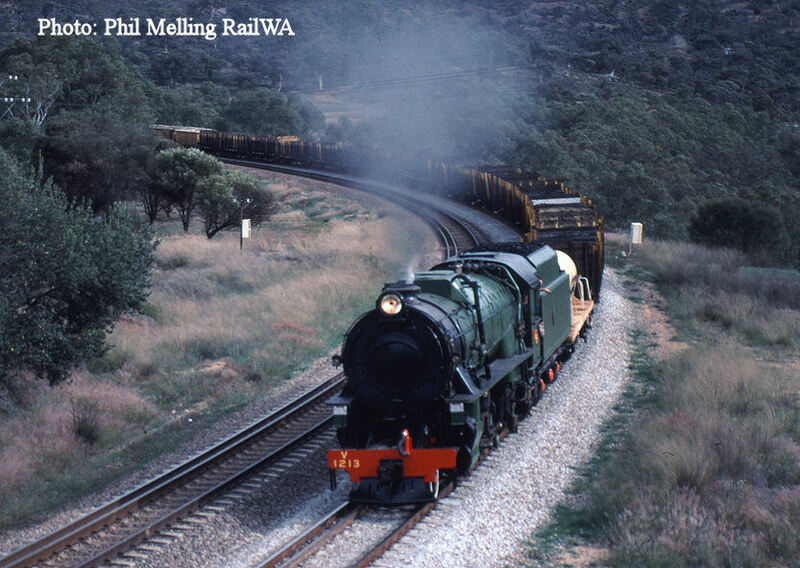 RailWA is a webpage of Railway Photographs taken over the last 40+ years, with an emphasis on our own state of Western Australia. The Railscene in W.A. has changed considerably in the last three decades. The days of the Metropolitan- Vickers X class diesels hauling rake's of 4 wheeled wagons, have been replaced with diesels with touch screen technology hauling wagons, which singularly can hold the capacity of 5 or 6, 4 wheeled wagons. 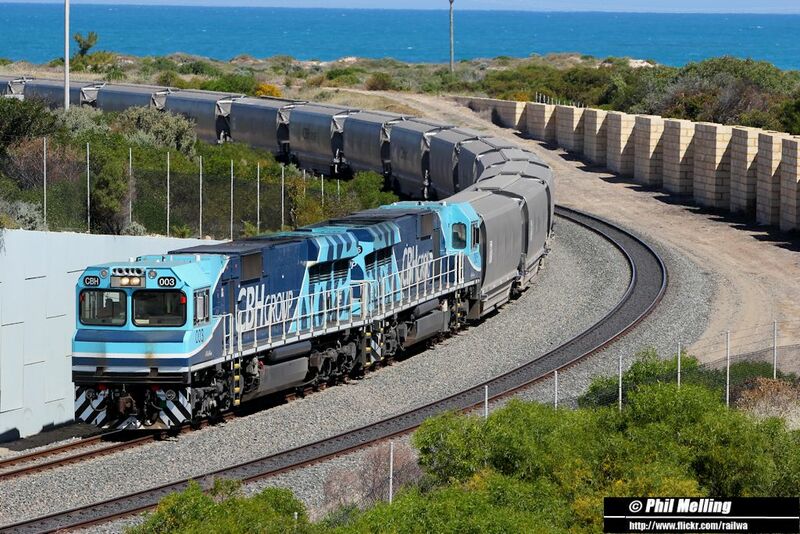 Western Australia's rail system is a number of systems. 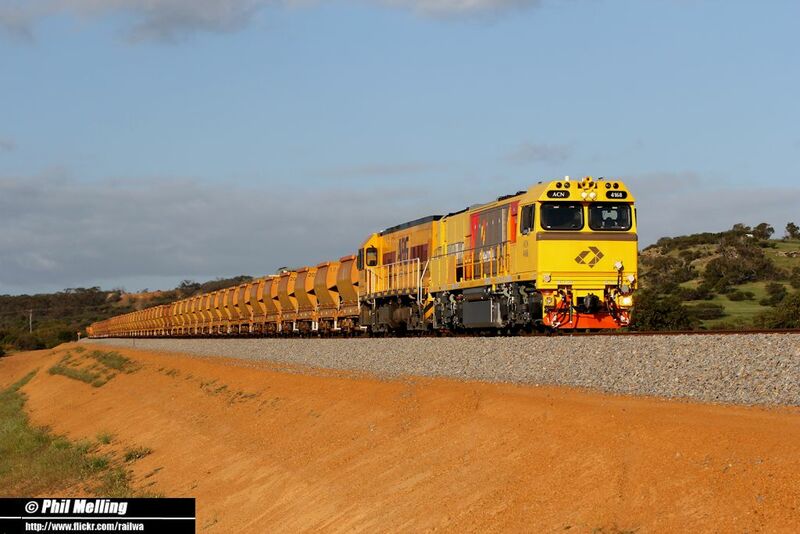 Watco Rail operating trains on behalf of CBH and also Infrastructure trains. All this makes a fairly diverse rail scene. With Company names and colour schemes changing over the time since we first started this website we will update the pages to reflect those changes as time permits. These pages have been put together by the father and son's combination of Phil, David, Daniel, Christopher & Joshua Melling using mainly our own photos (with some from our late friend Joe Moir). We hope you like it. A special thanks to the various people in the railway industry who over the years have provided information, access etc. to allow us to pursue our hobby. We always remember Safety First near rail lines. V1213 is seen hauling a freight train to Avon Yard on its mainline trial on 27 May 1992 through Windmill Cutting near Toodyay. Today the V class is out of service and is stored in Pemberton in south west W.A. CBH/ Watco CBH003/ CBH005 haul a loaded grain train into Geraldton Port on 16 September 2012. 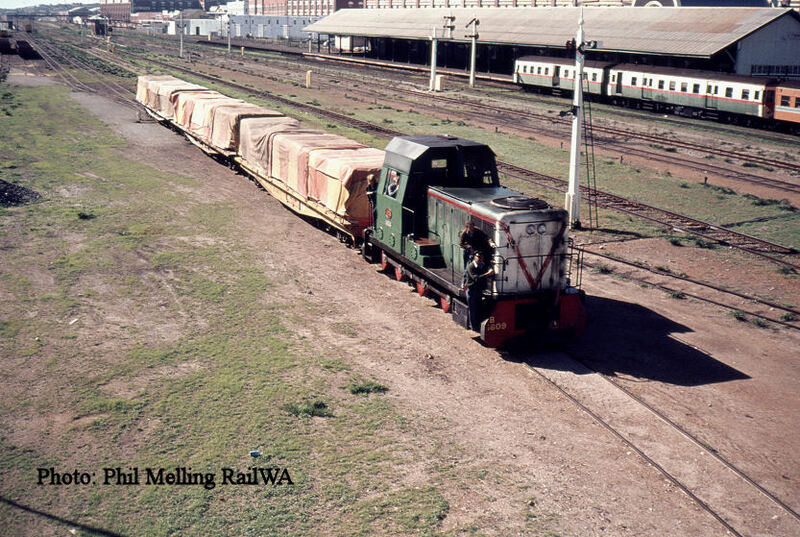 The CBH locos were built by Motive Power Industries in Boise, Idaho in the U.S.
A vastly changed scene exists today (including an electrified rail service) but back in 1979 we see B1609 hauling a short shunt train onto the Victoria quay at Fremantle Port on 31 May 1979. 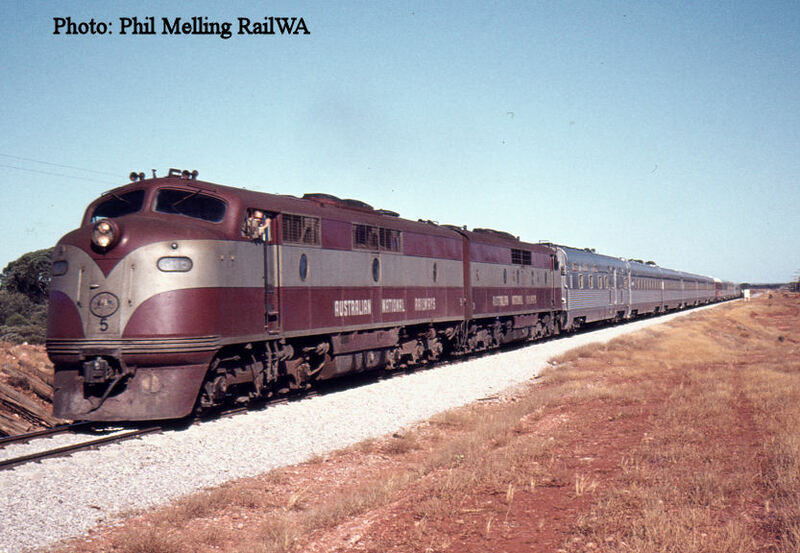 In classic Commonwealth Railways colours we see GM5/ GM21 between Parkeston and Golden Ridge (east of Kalgoorlie) on the Trans Australian Railway with an east bound Indian Pacific passenger train on 17 January 1981. Today the Indian Pacific runs only once a week (twice a week in peak periods) and normally has a Pacific National NR class on the front. ALL PHOTOGRAPHS ARE COPYRIGHT OF THE WEBMASTERS. COPIES TO BE DOWNLOADED FOR PRIVATE USE ONLY. COMMERCIAL USE PROHIBITED WITHOUT THE CONSENT OF THE WEBMASTERS.PLEASE EMAIL THE WEBMASTERS FOR CONSENT.